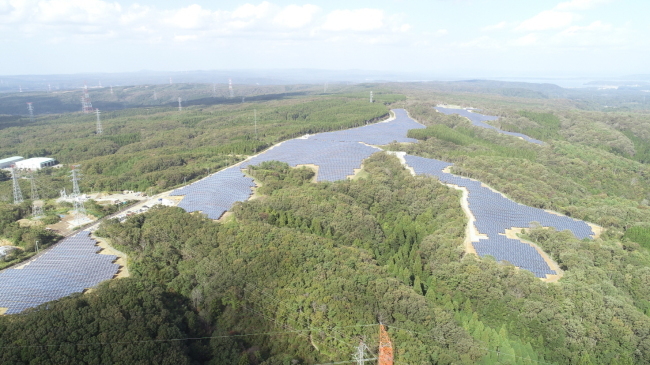 LSIS, a South Korean energy solution provider, has completed the construction of a solar plant in Japan capable of producing 18 megawatts of electricity a year, the company said Wednesday. The 46 billion won project was built on 300,000 square meters of land in Ishikawa Prefecture of Honshu. LSIS won the project in 2017. Its office in Japan will also run operation and maintenance of the plant for next 20 years. The plant in Ishikawa is the third large-scale solar plant built by LSIS in Japan. “Since entering the solar power market in Japan in 2009 as the first South Korean company, (LSIS) has expanded its market share by building trust and business references,” an official said.